I’m guilty of having overlooked Florida recently, which is a little strange since I’ve spent so much time there over the years. I was in need though of a long weekend away; I needed some warmth and pampering and found both in South Florida. Staying at the Diplomat Beach Resort, a Curio Collection property, I enjoyed a few days not just of the proverbial R&R but some other fun experiences along the way. Here are a few moments that helped make the trip so special, experiences I’m sure any visitor to this fun part of the state will enjoy. Visiting South Florida, it’s hard not to feel a little like a rock star at times. The area just lends itself to fabulous, over the top experiences and that doesn’t stop at the Diplomat. 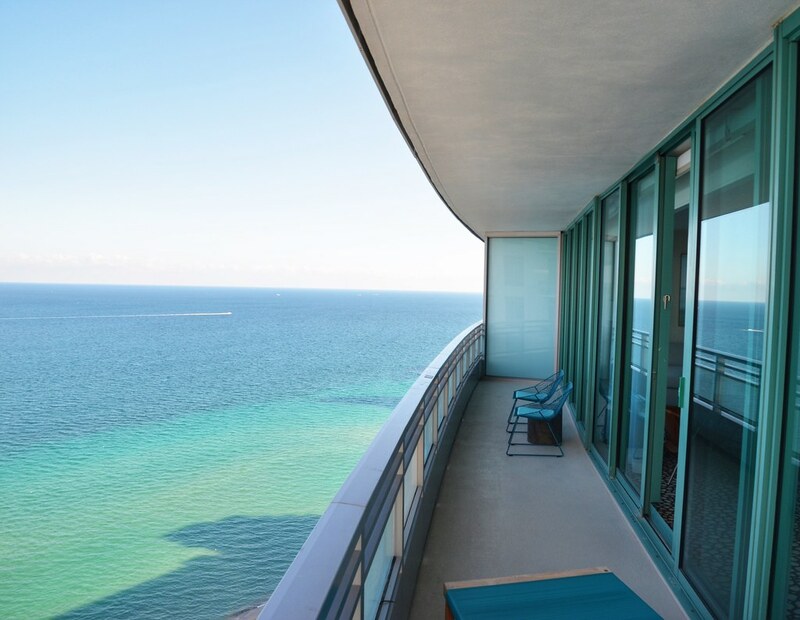 Thankfully though, the upscale experiences at the Diplomat are more refined and reserved than at some other properties, allowing me the chance to feel like a VIP but to also ultimately relax. While staying at The Diplomat, I enjoyed a day outside by the pool, but in my own private cabana. These little rooms next to the pool area are well designed, chic and are a designer’s nod to the Art Deco love affair that is pervasive in South Florida. In addition to the chic space, there were a whole host of amenities included that I made full use of throughout the day including a large TV, a Dyson Blade, complimentary refreshments and snacks and attendants so good at their jobs that I never wanted for anything. I can’t remember the last time I spent an entire day lounging by the pool, but I did at The Diplomat thanks not only to the gorgeous outdoor areas, but the cabana service, which is amongst the best I’ve seen. I also took advantage of another fun way to relax and decompress at the hotel’s newly refurbished and enormous spa and fitness facility. Once again, the same theme of relaxed elegance continues through to the spa, and the relaxation areas are cutting edge while being welcoming, a tough line to navigate but one that the Diplomat manages perfectly. Ultimately though it’s the actual service that matters the most and my own hour spent with a firm but relaxing Swedish massage was great – I think. I can’t be sure because I fell asleep, but if that’s not the mark of a great massage then I don’t know what is. After two stays at Curio Collection hotels, one theme I’ve noticed is the emphasis on providing refined, fun and delicious food options. That was certainly the case at The Diplomat and the food experiences I enjoyed at the resort’s many restaurants became an important aspect of my trip. It started at The Diplomat’s famous steakhouse, Prime. As a confirmed carnivore, I’m fairly picky when it comes to steakhouses. I knew it wouldn’t be a bad meal but I was a little surprised that the entire dining experience was so expertly executed. The food was amazing, the steak was one of the best I’ve ever enjoyed, service was flawless and the overall ambience of the restaurant followed the theme of refined elegance on clear display throughout The Diplomat. That culinary excellence thankfully carries through to all levels of the resort experience, from the massive breakfast buffet to the independent restaurants on-site serving up everything from BBQ and burgers to Italian-inspired light bites. What is notable about all of the food options is that none of them are average. The breakfast is a great example of this actually. I have probably eaten at many hotel buffets around the world and they’re nearly all the same. There is little left to the imagination and while The Diplomat honors these expectations, it does so with its own flair. Breakfast potatoes are delicately seasoned and tossed with Parmesan cheese, eggs are made to order and even the yogurts are freshly made and lovingly presented. Extrapolate this single experience across the board and you’ll quickly understand why the food was a wonderfully important part of my experience at the resort. The Diplomat Resort is located in picturesque Hollywood Florida, a beach community in between Fort Lauderdale and Miami. Hollywood was one of the early beach communities catering to tourists, and the town that has emerged is quirky and fun. While you’re in town though one experience you shouldn’t miss is the 2-mile long Broadwalk. Running the length of the beach, this large pedestrian zone is packed with restaurants, shops, cafes, bars, hotels and of course access to that amazing beach. Spending an afternoon just meandering around, people watching and of course enjoying the weather was a lot more fun than I ever would have thought. It’s a good way to spend some time away from the resort and get to know the local community a little bit better. 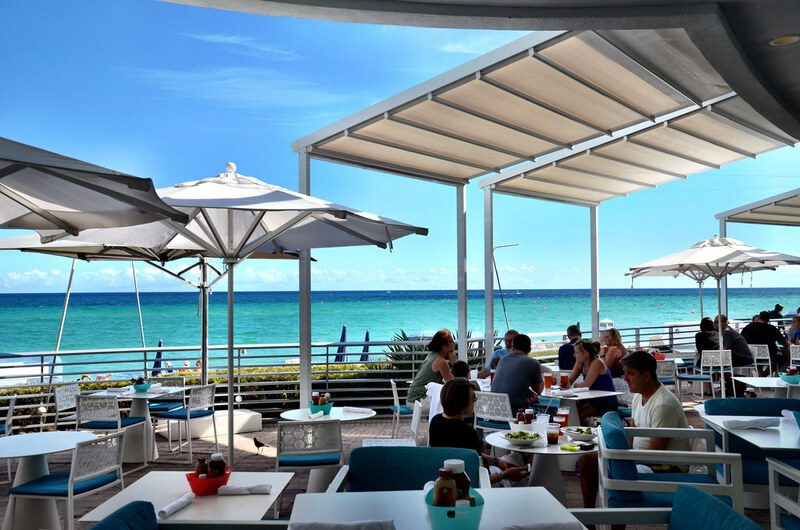 One of the country’s top tourist destinations, there is certainly no shortage of ways to pass the time when you visit South Florida. As often as I’ve visited this beautiful part of the state, it was rarely as a tourist and on this trip I wanted to get out there and experience some of the fun and slightly corny experience for which Florida is so famous. At the top of this list was spending time out on a swamp in search of gators. There are many places around South Florida if you want to take an airboat out into the swamps and look for alligators, but the Sawgrass Recreation Park is close to both Fort Lauderdale and the Diplomat and was the perfect option for my brief first foray into the swampy side of Florida. Although this park isn’t technically part of the massive Everglades, all of the waterways are really all part of the same system, one that is not only a National Park but also recognized by UNESCO as a World Heritage Site. Hopping into the airboat, Captain Bob looked a little grizzled but there was no doubt he knows these waterways well. Approaching speeds of 30 miles per hour, the uniquely designed airboat isn’t only a fun way to explore the swamps of Florida, it’s the only way. What was the most fun though was encountering alligators almost right away. Sitting there just a few feet away from these massive and strangely beautiful animals was humbling and the perfect outdoors experience on a beautiful Florida afternoon. Here in the U.S. we’re lucky in that we have so many great destinations where we can enjoy a short break and soak up some much needed sun. I personally love visiting South Florida and properties like the Diplomat Beach Resort not only for the refined elegance and pampering, but for the simple ability to relax and do very little at all. This really seems like an incredible beach! All those options for activities would be enough to keep anyone busy for their visit. I’ve travelled to beaches all around the world, some truly pristine locations! But nothing beats a relaxing stroll on the beach with a fiery sunset like the one in your picture!